A deep ruby/purple color is accompanied by this property's tell-tale cassis characteristics. 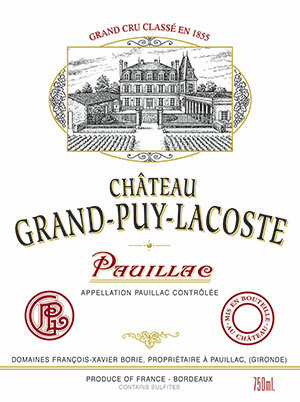 Medium-bodied and monolithic, with fine ripeness as well as depth along with light to moderate tannin in the finish, the 2001 Grand-Puy-Lacoste should be at its peak between 2006-2014. A refined, well-defined nose of black cherries, cedar, raspberry and black cherries. Good definition and lift. A medium-bodied palate, well-defined with good balance and focus. Fine acidity, crisp black fruits on the focused finish. Very Pauillac. Excellent. Tasted October 2007.